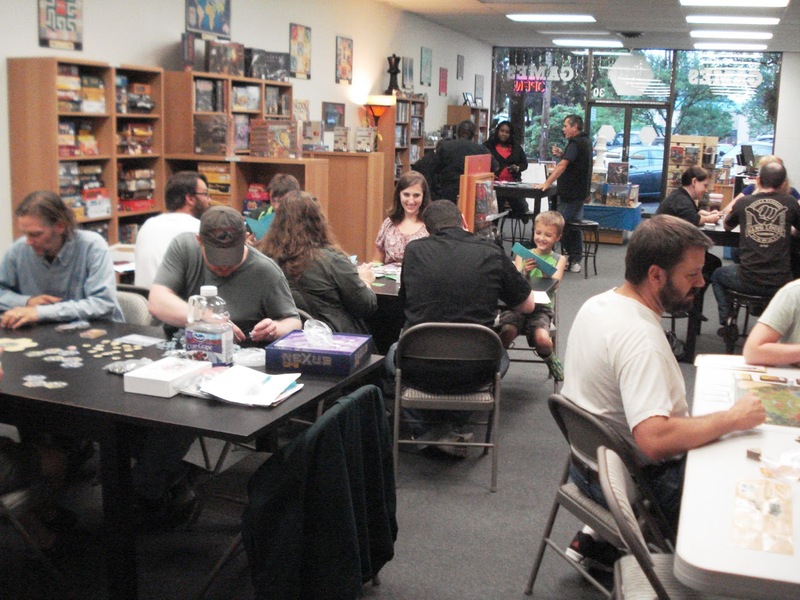 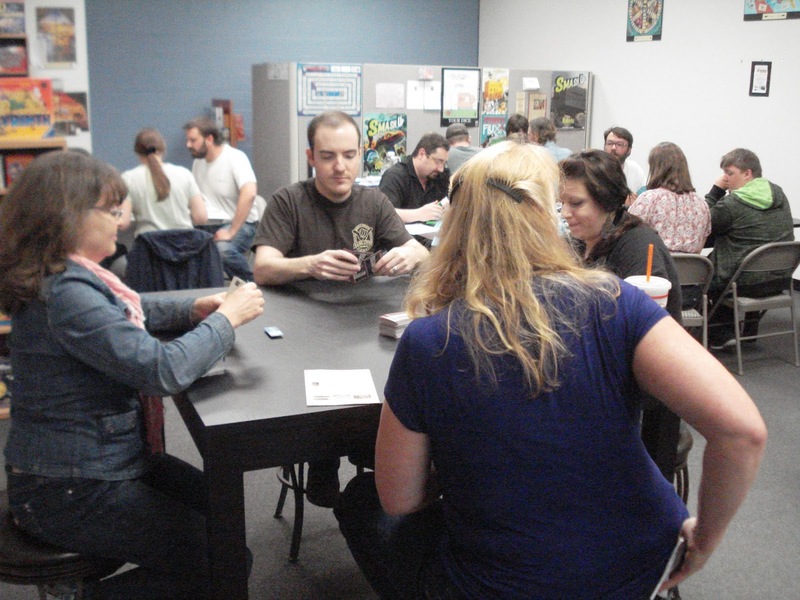 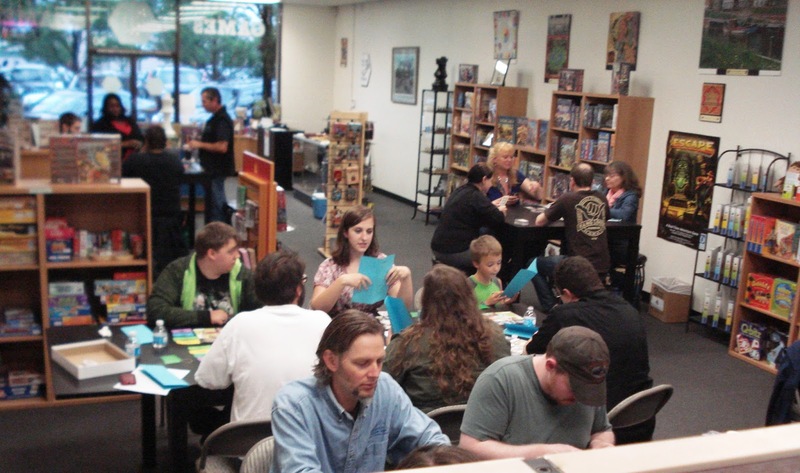 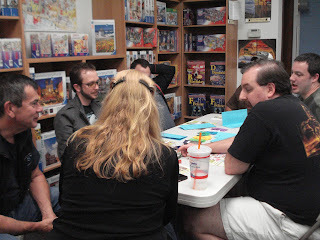 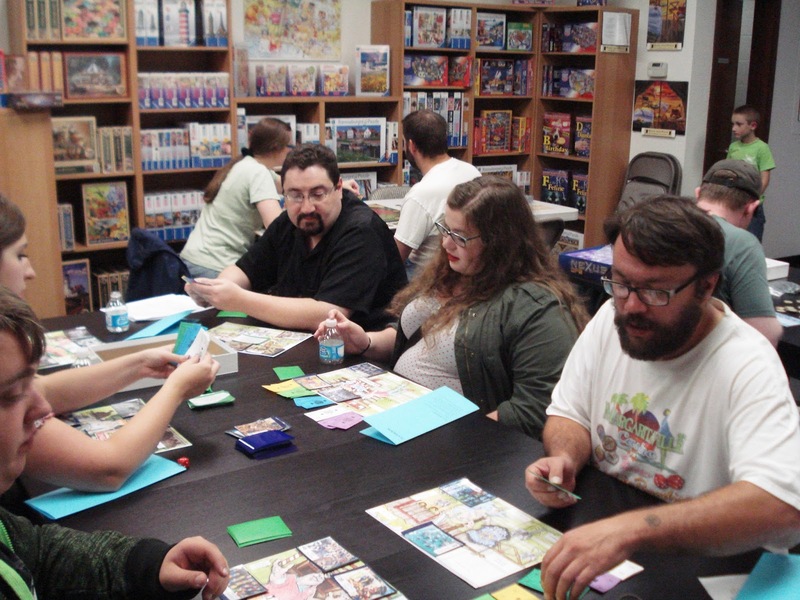 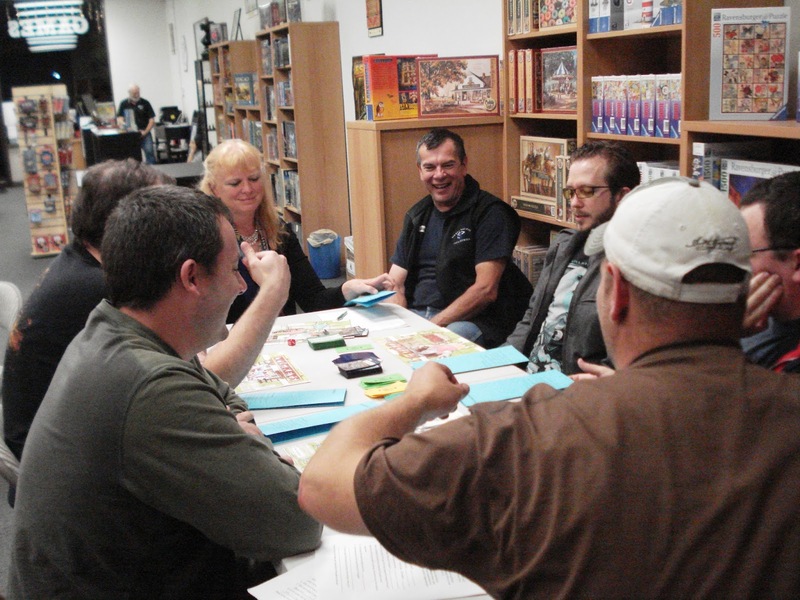 Thank you Lisa Steenson and everyone that came and participated in the Gut Bustin' Games Play Test Event last night. We definitely had a full house and everyone had a great time. 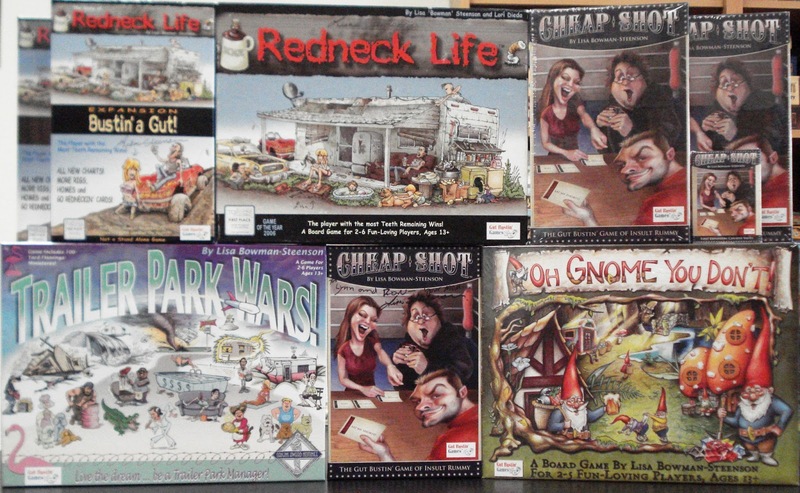 There was no holding back in this game of Trailer Park Wars!. 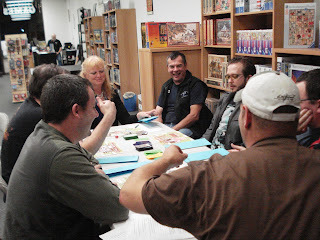 And to make it even more exciting, this group play tested the Terror in the Trailer Park expansion that is in development. On the table in the foreground, we're playing the newly released Cheap Shot, the Gut Bustin' card game of insult rummy. 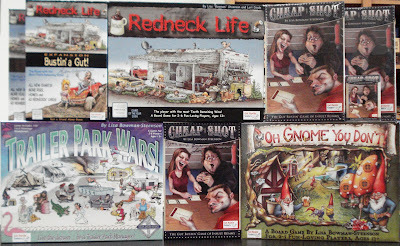 "Okay, Peter, You are a bath dodger, and have the memory of a goldfish, and ...."
We have Lisa's Gut Bustin' Games in stock. 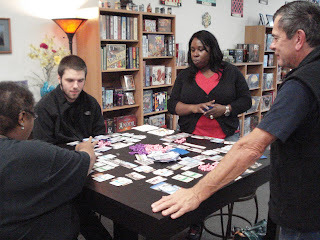 Additionally, we have some open in our Demo Game Library that you are welcome to come in and try out. Stay tuned for more exciting game events!